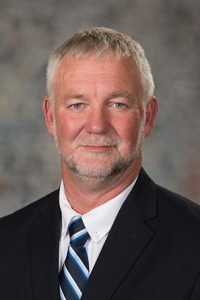 Under LB408, introduced by Kearney Sen. John Lowe, the court would adopt the list of approved prescription drugs categorized as Schedule II, III, IV or V to be dispensed in connection with workers’ compensation claims. Lowe said a similar formulary adopted in Texas has led to a decrease in cost, number of prescriptions written and number of workers’ compensation claims for drugs that require pre-authorization. Texas has seen a subsequent increase in the use of prescription drugs that are safer and more effective, he said. Claimants would not need pre-authorization for drugs listed on the formulary. Pre-authorization from the workers’ compensation insurer, risk management pool or individual insurer would be required for drugs not listed or for those included on the formulary but not recommended. The bill also would allow a claimant to appeal a denial of payment for any drug not listed on the formulary or listed as not recommended. Robert Hallstrom, representing Nebraskans for Workers’ Compensation Equity and Fairness, supported the bill. He said that even though drug formularies adopted in other states have led to cost savings, the real benefit of the bill is returning injured workers back to work much more quickly. “We’ve seen in other states that it has had a positive impact, particularly with regard to return-to-work outcomes and costs savings along the way,” Hallstrom said. Interventional pain physician Phil Essay also spoke in favor of the bill. He said overdose deaths resulting from opioids — categorized as Schedule II drugs — have quadrupled between 1999 and 2015, rising from 36 to 150 deaths annually. The vast majority of people who overdose on opioids are working professionals, Essay said. 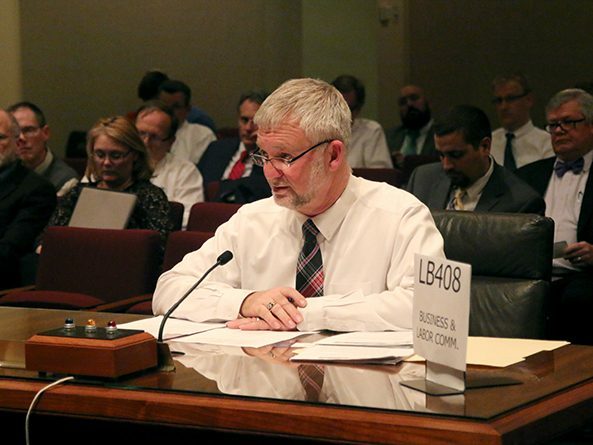 Opposing the bill was Dr. David Durand, representing the Nebraska Medical Association. He said physicians need considerable flexibility in serving the state’s aging workforce. Adopting a drug formulary would limit that flexibility and make it harder for physicians to provide the best treatment possible, Durand said. John Corrigan, representing the Nebraska AFL-CIO, also opposed LB408. He said placing limits on the medical care workers can receive is not aligned with the original intent of workers’ compensation.